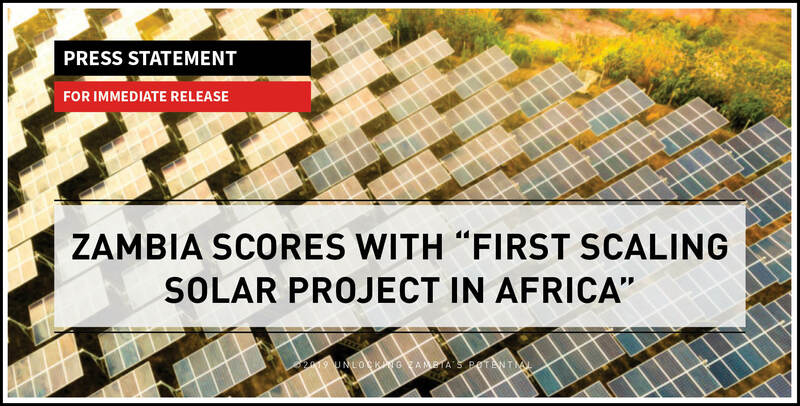 48 solar power developers, seven of whom submitted final proposals, and the bids yielded the lowest solar power tariffs in Africa to date. PMRC reiterates the importance of having a coherent, transparent process that the investor and investing public, the private sector, are able to work towards as well as the public institutions on the Government side — that is, the IDC as investment vehicle and the state utility as off-taker, to achieve predictability and a clearly defined process that lays the foundation towards the attainment of this 600-megawatt target which has been set for renewable energy in Zambia. PMRC’s research and policy contributions on Power Sector Reform and Renewable Energy in Zambia have laid the framework for success and provided key policy recommendations relevant to the discourse. Given the challenges of Rising Demand, Below Cost Tariffs, Over Dependence of Hydropower and Climate Vulnerability and Low Rates of Access in Rural Areas, the private sector remains a key investment partner to adequately improving power supply in line with fiscal consolidation. Following PMRC’s recommendations, Government has made reforms to increase tariffs to make them cost-reflective thereby improving the country’s power sector investment climate. To build on this progress Government has demonstrated its willingness and commitment to secure investment in the power sector without compromising fiscal consolidation objectives through the launch of the Scaling Solar Project. Government must therefore continue to make institutional changes to its planning and procurement capacity to secure productive, cost-effective and diversified power sector investment portfolio. Makes governance reforms to the Energy Regulation Board (ERB) to improve its independence and its effectiveness so that it better serves both investors’ and consumers’ interests. Renewable energy is growing rapidly on a global scale, with record numbers of new renewable energy solutions ranging from wind and solar installations coming online every year. Zambia can readily continue this expansion of renewable energy by utilizing existing technologies, investing in improvements to our electricity system, and making smart policy decisions that move the country towards a clean energy future and harnessing its vast potential for renewable energy. Improving operational efficiency in the power sector in Zambia will be a key driver for the country’s prospects of substantial progress in the attainment of Sustainable Development Goals, Vision 2030, and the programmes envisioned in the Seventh National Development Plan.